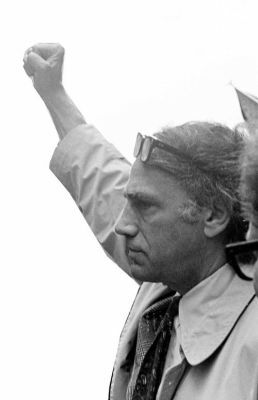 With unruly hair and a fist held high, the image of William Moses Kunstler is iconic. His career as a radical lawyer spanned decades, movements and the entire spectrum of public opinion. Kunstler was a civil rights litigator, a director of the American Civil Liberties Union and one of the founders of the Center for Constitutional Rights (CCR), but he is best known for his role as defense attorney for controversial clients, from the Chicago 8, antiwar protesters at the 1968 Democratic National Convention, to the blind Egyptian cleric convicted of masterminding the 1993 bombing of the World Trade Center. Disturbing the Universe is an exploration by Emily and Sarah Kunstler, daughters from Kunstler’s second marriage. Born in the late 1970s to a father in his late 50s, Emily and Sarah witnessed less than 20 years of his dramatic life as a public figure before his death in 1995. The film is not only a personal tale, but an investigative biography of the life, career and history that preceded their births. Kunstler, a passionate activist who thrived in the spotlight and described the Supreme Court as the “World Series for lawyers,” was at the center of many battles in the second half of the 20th century. The archival footage in Disturbing the Universe takes us to diverse destinations, including lunch counter sit-ins in the segregated South; the 1971 Attica uprising, when prisoners took over the jail to demand humane treatment; and the 1973 occupation of Wounded Knee by members of the American Indian Movement (AIM). 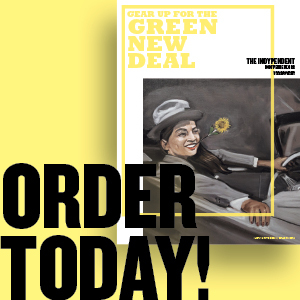 Contemporary interviews offer personal accounts by giants of the U.S. human rights movement such as Black Panther Party cofounder Bobby Seale, AIM cofounder Clyde Bellecourt, peace activist Father Daniel Berrigan and CCR President Michael Ratner. Even more evocative are the interviews with unknown figures whose lives were profoundly affected by Kunstler. These include Jean Fritz, a juror during the Chicago 8 trial who became politicized by its absurdity; Michael Smith, an Attica guard held hostage by prisoners and shot five times by the state police in the ensuing massacre, and Paul Rudd, a Black friend on whose behalf Kunstler waged a court battle so that he and his wife could move into an all-white apartment complex in Westchester County in 1962. Through Emily’s narration, the viewer begins to understand the film as a therapeutic journey for the filmmakers, and there is a thrill in being allowed to share in their discovery. We watch the transition from home videos where the girls dance around as children, introducing their imaginary audience to “the real William M. Kunstler,” to footage of the three of them engaged in a televised debate on NY1 where the daughters, as adolescents, swear they will never be lawyers (Sarah now is one). In early childhood, understanding their father’s work is simple: “His clients were fighting to save the world and he was fighting to keep them out of jail.” Soon we experience the emerging dissonance between the heroic tales from the civil rights era and the work Kunstler is doing as Emily and Sarah are growing up, defending accused Mafia dons, rapists, cop killers and terrorists. It’s easy to understand why “Dad’s clients gave us nightmares.” Intensifying this is the high profile of Kunstler and those he represents. Emily tells us how she walked past her home without stopping when there were protesters outside and all packages were opened by her father alone in the basement. As teenagers, the sisters agree their father has “completely lost his mind.” Yet the present-day voice seems to have achieved a healthy resolution: the respectful understanding of adult children appreciating the simple fact that a parent is human. Disturbing the Universe is a well-edited biographical collage in the concrete style of Emily and Sarah Kunstler’s earlier documentary work including Tulia, Texas: Scenes from the Drug War. Its only imaginative gesture is likening Kunstler to an animated image of Michelangelo’s David. Yet little imagination is needed to augment the legacy of the man or the genuine filial emotion of the film, which maintains an engaging symmetry between politico-historical narrative and personal divulgence. 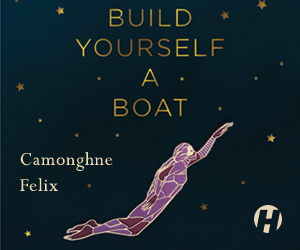 It represents a well-crafted and intimate but not uncritical tribute to both a father and a legend of the Left. BAM Rose Cinemas will host two screenings of Disturbing the Universe (featuring Q&A with Emily and Sarah Kunstler) on June 20 and June 25. For more information, visit bam.org.